The next stage was brief but essential. That's when people started noticing them, started showing up, started screaming. At this moment, the Beatles didn't stop marketing. They didn't stop doing radio shows at the BBC or flying all night to play a concert in Denver (empty seats) or Kansas. 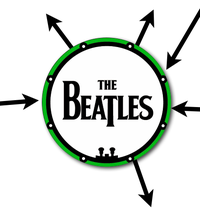 During the transition stage, in fact, the Beatles and their management really poured it on. Read the full essay on Seth Godin's blog.